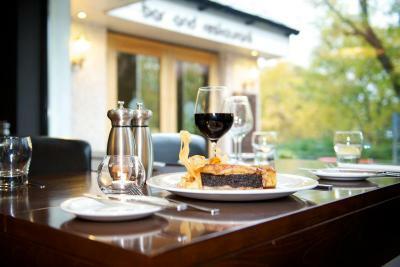 Lock in a great price for Nevis Bank Inn – rated 8.6 by recent guests! 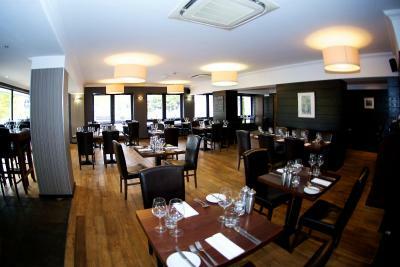 Great location, nice helpful staff, good restaurant. The restaurant was excellent! Great breakfast ()included) and dinner. Beds were comfortable and very nice bathroom. Staff were brilliant! Room lovely and warm. Bathroom and shower great to use. Food was very well presented and tasted delicious. The polite and smilingly helpful members of the staff are the most important aspect of this property. They make you forget the difficulty in climbing the stairs with your luggage and all. The breakfast and dining experience are remarkably good. Very nicely maintained clean property, particularly the bathrooms are tastefully done with excellent look and facilities. The bathroom was exceptional. The room space was fantastic. Breakfast options were great. Included buffet plus cooked breakfast. The staff was kind and went out of their way to be helpful. Great staff. They went out of their way to make my birthday special! Very close to town and convenient. 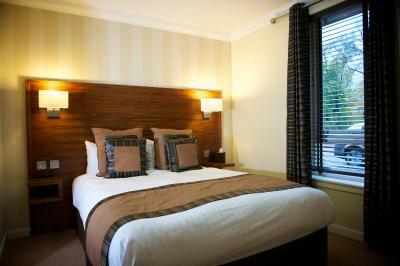 The room was clean and tidy, the decor was good and the bed extremely comfy. The hotel staff were very friendly. We ate at the hotel and the food was good. The hotel is a short walk on the flat in to the centre more than do able for everyone. Bed was good, washroom very good. Service great. excellent for walking and close to town. Able to walk to Jacobite train. Nevis Bank Inn This rating is a reflection of how the property compares to the industry standard when it comes to price, facilities and services available. It's based on a self-evaluation by the property. Use this rating to help choose your stay! The Nevis Bank Inn is a 4-star hotel located on the banks of the Nevis River, 4 miles from Ben Nevis. Large rooms have private bathrooms and free Wi-Fi. Rooms are stylishly decorated using walnut wood furniture and luxury fabrics. They feature flat-screen TVs, work desks and chairs, hair dryers and tea/coffee making facilities. 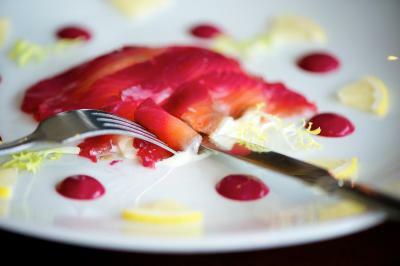 Browns Restaurant And Bar serves classic and contemporary dishes using the freshest of local produce. 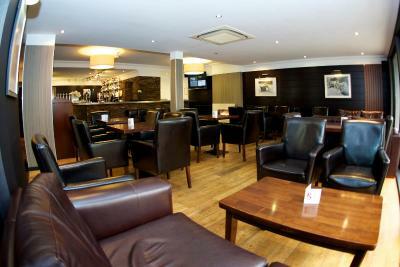 The bar offers a fine wine list, real ales and a wide range of whiskeys. The Nevis Bank is perfect for stunning countryside walks and the Nevis Range Ski Centre is 3 miles away. 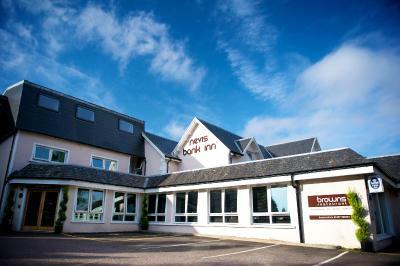 Central Fort William is a 10-minute walk from the inn. Free parking is available. 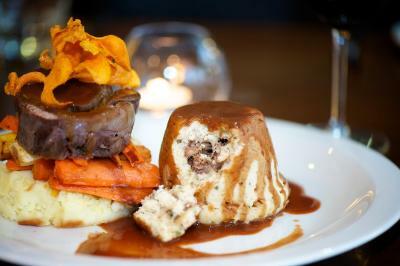 When would you like to stay at Nevis Bank Inn? 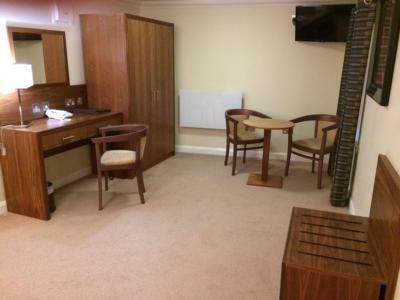 This room offers free Wi-Fi, a TV, and tea and coffee making facilities. The private bathroom benefits from a hairdryer. Spacious suite with separate sitting area. 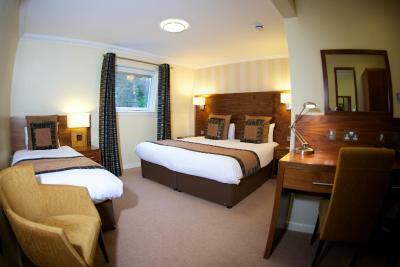 This room offers free Wi-Fi, a TV, and tea and coffee making facilities. The private bathroom benefits from a hairdryer. This room can also be set up as a double. Please specify in the request box if you would prefer this. This apartment features free Wi-Fi, a seating area with a TV, and a fully equipped kitchen. House Rules Nevis Bank Inn takes special requests – add in the next step! Nevis Bank Inn accepts these cards and reserves the right to temporarily hold an amount prior to arrival. Please note there is a 10% nonrefundable deposit for bookings of six rooms or more. 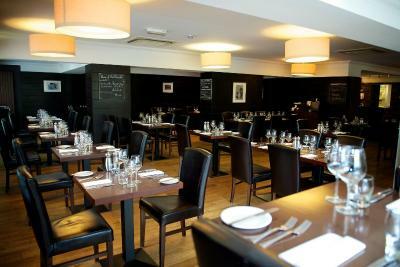 If a guest wishes to dine in Browns Restaurant, please book a table using the contact details provided on booking confirmation. Very warm room even with the heating off. Very comfortable. Full hotel services. A separate bar area would have been nice. Breakfast buffet could have provided more choice, and it was a little pricey. Spacious and comfortable family suite spotlessly clean. the sofa beds and a large double in the separate bedroom. 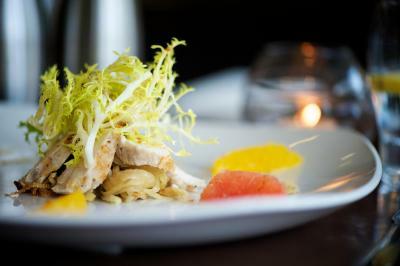 Food in the restaurant was excellent with fresh ingredients and well cooked. Friendly and efficient staff. Plenty of car parking even on a warm Easter weekend. Door difficult to lock, had to bang it shut (not nice for neighbours). Beds gave us a back ache, don't know why. The bed was a little too hard for our particular choice. All the staff without exception were friendly efficient and very helpful. The food was fabulous as well. Location very good. Great place to sleep and eat. Friendly staff, great food, great facilities and super clean. 5 stars. Superb meal in the hotel at Browns Restaurant. Gourmet eating. Room overpowered with artificial scent. Bad day for the chef regarding desserts. Breakfast was good and enough choice. The hallways were smelled musty. Loved the room and furnishings. Plenty room for 4 adults on this occasion. The staff were very attentive and gave us information about Fort William . Near enough to walk to town and bus/train station. The food was second to none and reasonable prices. The receptionist could of been a bit more cheerful, also the bar was very expensive hench the reason we only had one drink !! !